U.S. Public Health Service Commissioned Corps Commander Jonathan White testifies before the House Judiciary Committee on the Trump administration's separation policy involving migrant families on Capitol Hill in Washington, Feb. 26, 2019. Thousands of accusations of sexual abuse and harassment of migrant children in government-funded shelters were made over the past four years, including scores directed against adult staff members, according to federal data released Tuesday. Rep. Ted Deutch, D-Fla., released the Health and Human Services Department data during a hearing on the Trump administration's policy of family separations at the border. The data span both the Obama and Trump administrations. The figures were first reported by Axios. Health and Human Services officials said the vast majority of allegations weren't substantiated, and they defended their care of children. 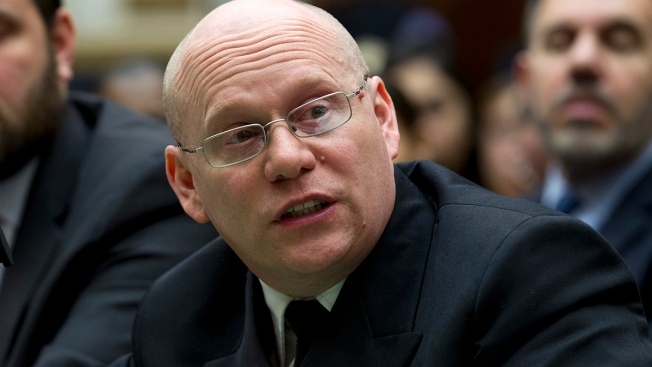 "We share the concern," said Jonathan White, a Health and Human Services official who was in charge of the effort to reunify children with their parents, testifying before the House Judiciary Committee on Tuesday. "Any time a child is abused ... is one time too many. We abide fully with the laws this Congress has passed, and we are very proud of our outstanding track record of full compliance including referring every allegation for investigation. The vast majority of investigations prove to be unsubstantiated." Sexual abuse allegations are reported to federal law enforcement, though it's not clear whether anyone was charged criminally. In many cases, staff members were suspended and eventually fired. "Together, these documents detail an unsafe environment of sexual assaults by staff on unaccompanied minors," he said.